He’s “wasting his time” if he thinks he can run for a United Conservative Party nomination, says party leader Jason Kenney, but that isn’t stopping Strathmore-Brooks MLA Derek Fildebrandt from being a thorn in his former party’s side. Once considered a rising star in Alberta’s conservative movement, the spectacular implosion of his political career has largely been self-inflicted. 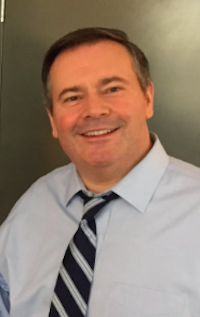 He was refused re-entry into the UCP caucus in February 2018 following an embarrassing string of controversies, including being caught renting his taxpayer subsidized condo on AirBNB, being charged with a hit-and-run, and being charged with illegally killing a deer while he was hunting on private property without the landowner’s permission. Now as an Independent-Conservative MLA, he sits in the furthest corner of the opposition side of the Legislature, beside sole remaining Progressive Conservative MLA Richard Starke and behind Alberta Party MLA Greg Clark. He was recently removed from the Standing Committee on Public Accounts, which he used to chair, and his motion to cut MLA pay by 5 percent received zero interest from the governing New Democratic Party or the official opposition UCP. As I wrote last week, Fildebrandt is agitating in the newly redrawn Chestermere-Strathmore district, essentially accusing his former party of being afraid of an open nomination contest in the district. 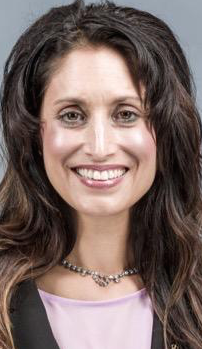 The theatrical former official opposition finance critic and Canadian Taxpayers Federation spokesperson accused the UCP of “Trudeau-style affirmative action” for not allowing him to run against popular Chestermere-Rockyview UCP MLA Leela Aheer, who has announced her plans to run in the new district. Playing the victim of political correctness, Fildebrandt is trying to generate populist support for himself in the UCP membership. The strategy is not without merit. It worked two years ago. 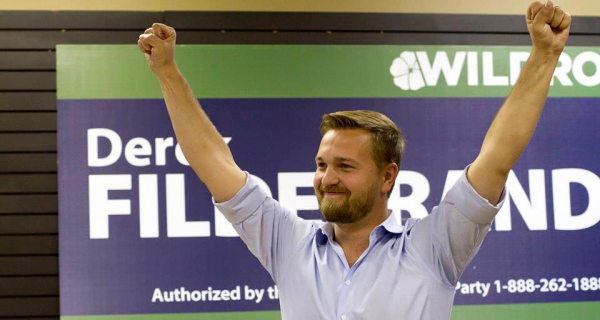 When then-Wildrose Party leader Brian Jean attempted and failed to suspend Fildebrandt from the Official Opposition caucus in 2016, an uprising of party activists demanded he be allowed to rejoin. It was a fairly embarrassing 72-hours for the Wildrose Caucus and a clear evidence that Jean might not have had the full loyalty of his party. But that was then and this is now. With Kenney’s intentions being pretty clear and Fildebrandt’s chances of rejoining the UCP before 2019 next to none, there is mounting speculation that he is preparing the ground to run as an Independent candidate against Aheer in the 2019 election. Do Independents get elected in Alberta? Independent candidates don’t usually get elected in Alberta, but there are exceptions. The last time an Independent MLA was elected in Alberta was in 1982, when two former Social Credit MLAs, Walt Buck and Raymond Speaker, were re-elected in Clover Bar and Little Bow. 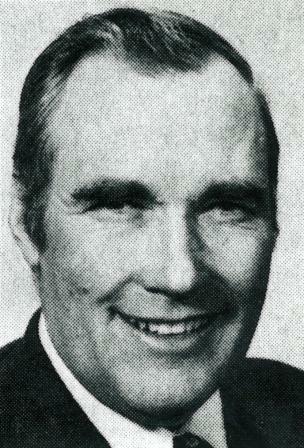 Previous to that, Clarence Copithorne was elected as an Independent MLA in the Banff-Cochrane district in 1967. More recently, other MLAs who had been previously elected under party banners and tried to run for re-election as Independent candidates were former PC MLAs Kurt Gessell in Clover Bar-Fort Saskatchewan in 1993, Carl Benito in Edmonton-Mill Woods in 2012, former Liberal Dan Backs in Edmonton-Manning in 2008, and former Wildrose MLA Joe Anglin in Rimbey-Rocky Mountain House-Sundre in 2015. All were defeated. Alberta First Party has been renamed the Western Freedom Party of Alberta, according to Elections Alberta. The party was formed as the Alberta First Party in 1999 and renamed the Separation Party of Alberta from 2004 until 2013, when it was once again renamed the Alberta First Party. The President and Chief Financial Officer of the Western Freedom Party are Bob Lefurgey and Heather McDonald Furcho. 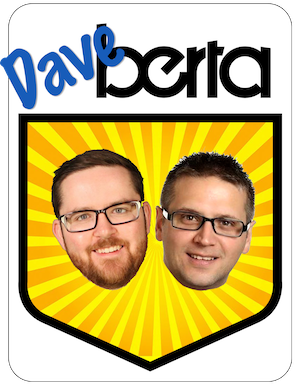 They were both previously reported to be collecting signatures to form another new separatist party that was to be called The Western Independence Party of Alberta. Under its various names and forms, this party saw its best electoral results in the 2001 election in Cardston-Taber-Warner with leader John Reil earning 26 percent of the vote (Reil would later run for the leadership of the Alberta Liberal Party in 2004) and in a 2002 by-election in Wainwright with candidate Jerry Barber earning 25 percent of the vote (Barber is currently listed as the President of the UCP association in the Battle River-Wainwright district). Update: As of July 3, 2018, the Western Freedom Party has been renamed the Freedom Conservative Party. As of July 18, 2018, Derek Fildebrandt has joined this party, becoming its first MLA. This entry was posted in Alberta Politics and tagged Alberta First Party, Alberta Liberal Party, Bob Lefurgey, Brian Jean, Canadian Taxpayers Federation, Carl Benito, Chestermere-Strathmore, Clarence Copithorne, Dan Backs, Derek Fildebrandt, Freedom Conservative Party of Alberta, Greg Clark, Heather McDonald Furcho, Jason Kenney, Jerry Barber, Joe Anglin, John Reil, Kurt Gessell, Leela Aheer, Public Accounts Committee, Raymond Speaker, Richard Starke, Separation Party of Alberta, United Conservative Party, Walt Buck, Western Freedom Party of Alberta, Western Independence Party of Alberta, Wildrose Party on May 1, 2018 by Dave Cournoyer.